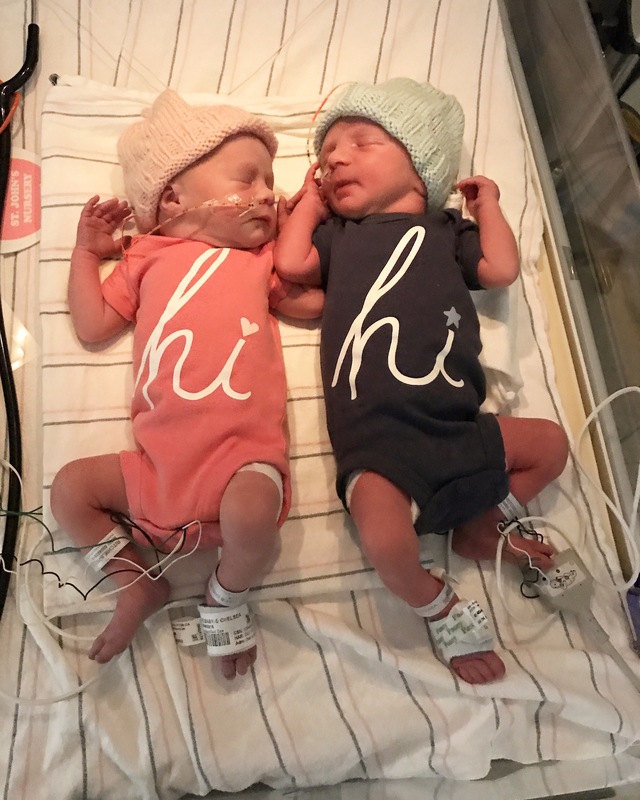 The kids graduated to the “grower and feeder” side of the NICU their first day and now simply aim to put on weight and learn how to eat without a line. Prayers for their bottle/breast taking abilities to be strong and consistent would be great! As would prayers that my milk would come in and breastfeeding would prove to be an option. There are truly no words to express our joy and gratitude for what this week has held. To experience a moment as holy as this is beyond humbling and immensely overwhelming in the best possible way. Thank you all for being part of our story!!! We are adjusting to our new schedule here at the hospital and can’t wait to share more pics, stories and details soon! Much love friends! My heart is bursting with joy & happiness for you & your family. Though I am waiting for my own miracle from God,I feel as if a family member has given birth to these beautiful babies. God bless your son & daughter. You deserve this happiness every day of your life. I am so incredibly happy and excited for you both! Congratulations! God is good! Congratulations on the birth of you beautiful blessings. They are both adorable! God is beyond amazing! I am beyond thrilled for you. Congratulations!! Congratulations to you both!! They are both beautiful babies and so happy to hear Momma and babies are doing well! They are so precious! I’m so thrilled for you and your family! I’ve been praying for God to bless you with a baby and I rejoice that you have received that blessing two fold. Praying that things go smoothly for you all in the days ahead. Praise the Lord!!! Congrats! 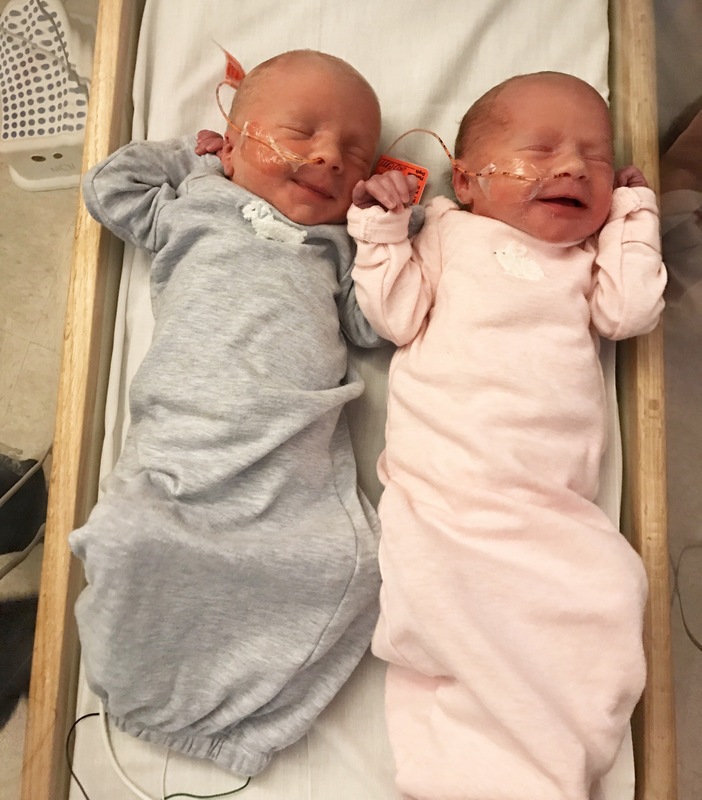 Congratulations and welcome to Logan and Kirsten! Congratulations they are beautiful! You did an amazing job mama of growing those babies and bring them healthy and radiant into this world. Congratulations, I have been following your story and telling my granddaughter about it as she waited for her precious baby to be born..We welcomed our new great granddaughter Myah MacKenzie on Sunday May 7th…She was excited when I told her about your babies being born…We are both wishing you all the best for health and happiness in your new role as ” Mommy”..God Bless. I know people say babies are beautiful all the time, but your babies really are so precious and beautiful! What a great way to celebrate Mother’s Day this year for you and your family. I’ve loved watching your journey through this blog, it helped me a lot during my struggle through infertility. I’m celebrating Mother’s Day for the first time with my daughter this year and it just makes it so much more special to me. God is so good. Congratulations!!! They are gorgeous! I am well versed in the feeding tube. 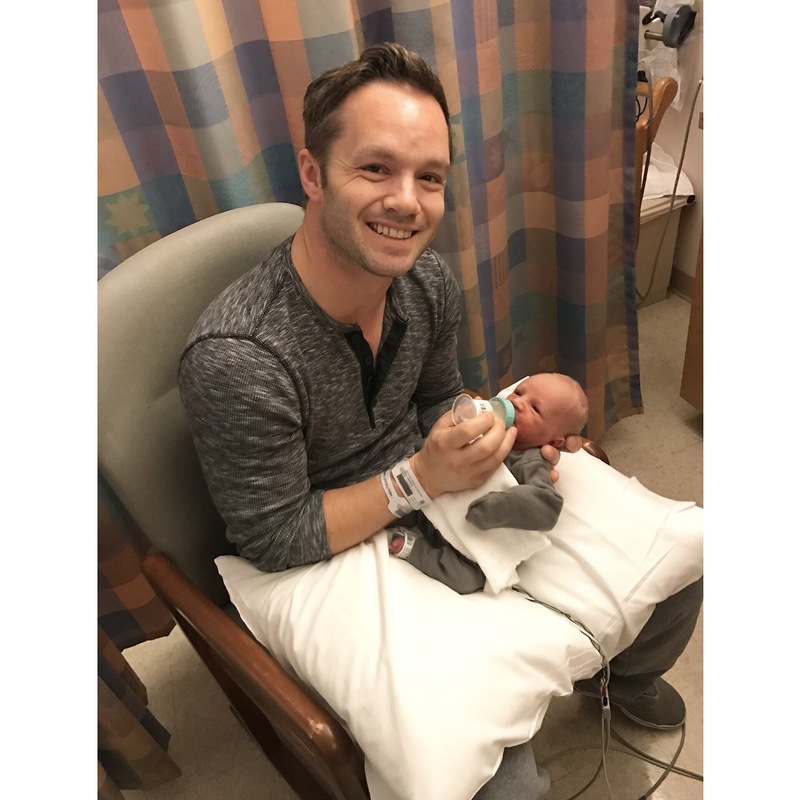 You will quickly get on the NICU schedule and then tend to keep it when you get home, lol. I am over joyed for you and Josh and can’t wait to watch those little sweeties grow!!! Sending you so much love!!!! Congratulations! I am overjoyed for you both for the perfect gifts God has given you. The Lord is awesome! Congratulations! So happy to read this! Amazing! So happy for you guys. Those sweet babies are so blessed to have you as parents. Much love to you all. Congratulations to you both! Fantastic news! Congratulations!!! What an answer to prayer. Your blog helped me so much on my infertility journey. It helped me to not feel so alone and you helped me to keep turning to Christ. I am thrilled to see God answer this desire of your heart!